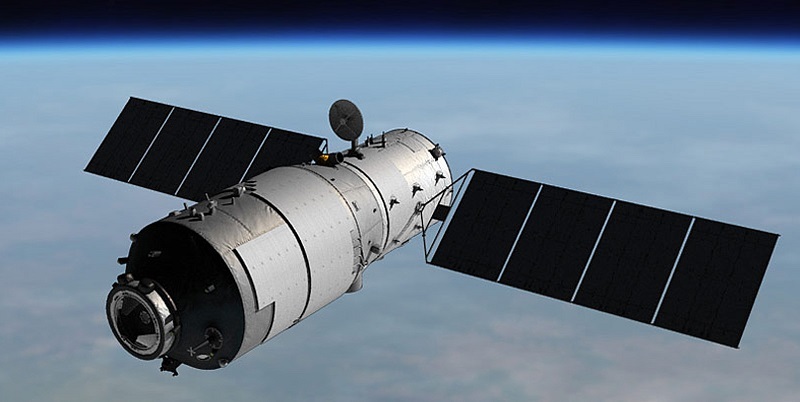 China’s Tiangong-1 space laboratory is not out of control and poses no danger to Earth, according to a leading Chinese spaceflight engineer. Various Western experts and media outlets reported that Beijing apparently lost control over Tiangong-1 on March 16, 2016. It is believed that the space station ceased functioning due to a dysfunctional battery charger. Since then, the module has been unable to recharge its batteries from its two solar arrays. However Chinese officials still insist that the spacecraft’s ongoing descent is under control. Recently, a report issued by Aerospace Corporation, a non-profit corporation that provides technical guidance and advice on all aspects of space missions, predicted that Tiangong-1 will fall to Earth in March 2018, most likely in the middle of the month. The expertise also warned that parts of the spacecraft, which could survive the re-entry, may contain hydrazine – a highly-toxic material used in rocket fuels. Now, Zhu Congpeng, a spaceflight engineer at the China Aerospace Science and Technology Corporation, amid many analyses made by Western experts, denies claims of Tiangong-1’s imminent uncontrolled re-entry. “It will burn up on entering the atmosphere and the remaining wreckage will fall into a designated area of the sea, without endangering the surface,” Zhu told the Science and Technology Daily, the official newspaper of China’s Ministry of Science and Technology. However, besides suggestions that Tiangong-1’s descent is under control, he has not disclosed any details regarding the possible date of the re-entry. “We have been continuously monitoring Tiangong-1 and expect to allow it to fall within the first half of this year,” Zhu said. The latest official document issued by China regarding the status of Tiangong-1 is a note sent to the United Nations (UN) on December 8, 2017. The brief document only informs the organization that the fall of the spacecraft is expected between the first 10 days of February and the last 10 days of March 2018. In this note, Beijing insists that the Tiangong-1 module and the fuel it contains, will not harm those on the ground. Tiangong-1 (“Heavenly Palace” in Chinese) is China’s first space laboratory. With a mass of about 8.5 metric tons, Tiangong-1 measures some 34 feet (10.4 meters) long and has a diameter of approximately 11 feet (3.4 meters). The station was launched in September of 2011. Nine months later, in June, 2012, three Chinese taikonauts docked their Shenzhou-9 spacecraft to the station for the first time. The module was visited again in June 2013 when the Shenzhou-10 spacecraft transported another trio of taikonauts. I guess we will know the truth on this soon enough, one fire ball in the sky kind of gives it away.